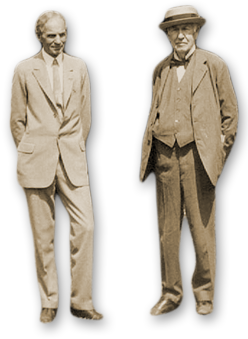 Was Henry Ford a quilter? Well, no, not quite, but he and his wife Clara did assemble a vast and diverse collection of items to celebrate “the genius of the American people.” And that sentiment is especially exemplified in the quilt. Throughout the United States’ history people have taken leftover scraps and through incredible resourcefulness and ingenuity have made something quite special out of almost nothing. Along with the quilts, the Fords collected wagons, buildings, machines and other examples of American life. Their collecting efforts resulted in a massive museum complex, which has become The Henry Ford Museum and Greenfield Village. In fact, the original laboratory built on the grounds of the Edison Ford Winter Estates was given by Thomas Edison to his good friend Henry Ford and is still standing at Greenfield Village today. Quilts were an important part of everyday life for a majority of United States, which is why the Edison and Ford Winter Estates holds our annual Airing of the Quilts. Airing of quilts was an ordinary part of life a century ago when blankets and textiles were moved out doors to air out and freshen up before the cold winter months. Edison Ford, along with the members of the Southwest Florida Quilters’ Guild, will be airing and exhibiting their collection of handmade contemporary, traditional, and historical quilts on Saturday, October 13, 2018. Join us to explore the beautiful grounds and watch the quilts sway in the breeze!